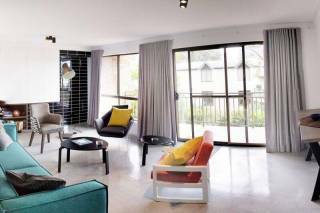 This 2 story refurbished Cottage in the heart of Balmain has everything you could need for a comfortable stay in Sydney. Spread out over 2 levels this property has 2 bedrooms, one upstairs and one downstairs. 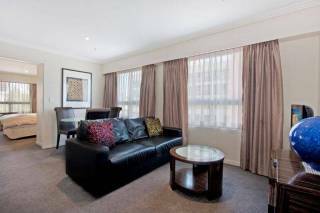 On the upper level; the lounge has 2 sofas a plasma TV with Foxtel for your viewing pleasure, A white kitchen with a caesarstone bench top plus all the equipment a modern home could require. The main bedroom has a queen bed built in wardrobes and bedside table with lamps. On this level there is a modern bathroom with a shower. 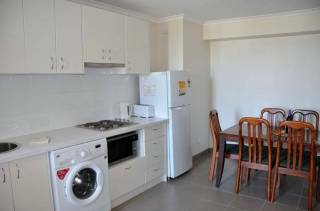 On the lower level you will find a garden to delight you, private and quiet with outdoor furniture. Down the staircase is the open plan bedroom with a second modern bathroom which includes the laundry area. An attractive tiled second living area with French doors that open on to the garden has light weight chairs you can easily take outside to soak up the sunshine while you enjoy your morning coffee. 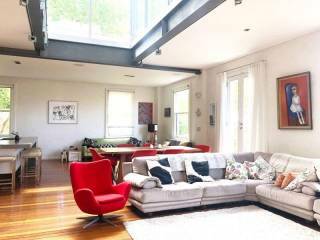 This property is situated in the heart of Balmain just off Darling St. There is plenty of street parking in the surrounding area and there is a bus stop just 100m away. Perched on a picturesque peninsula in Sydney's inner west, this eclectic waterside enclave offers a laid-back inner-city alternative. Balmain is a colourful and artistic suburb, home to some of Australia's best-known writers, actors, film directors, musicians and artists. Food and wine is a highlight with some of Sydney's most stylish cafes, bistros, pubs, restaurants and produce stores. Food connoisseurs will want to taste one of Adriano Zumbo's renowned desserts at his patisserie or feast on a Middle Eastern brunch at Kazbah, both on Darling Street. On weekends Balmain Markets and Rozelle Markets offer an eclectic mix of fashion, food, bric-a-brac. Balmain's nightlife is a magnet for a cosmopolitan crowd who enjoy partying with DJs, jazz and bands at local pubs. Hit the 3 Weeds, one of the inner west's original pubs, established in 1881. 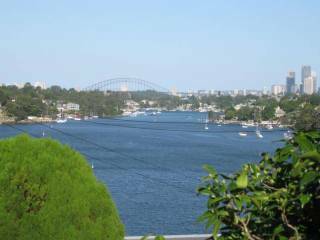 Balmain is 15 minutes into the CBD by Bus or Ferry you can easily access all of Sydney’s attractions from here.